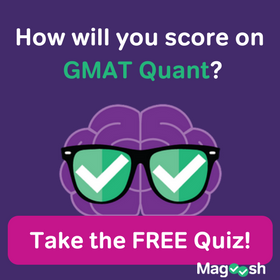 Question 3 in the reading comprehension section of the Official Guide to the GMAT is again, a detail question. They’ve loaded up the detail questions in this first group of questions. 😀 We’ll dive into how to approach detail questions, how to identify wrong answers, and of course, how to arrive at the right answer. Well hello. You caught me in the middle of me caring for my beautiful succulent garden. Just give it a little bit of water every seven to ten days. Okay, let’s get to GMAT Tuesdays. 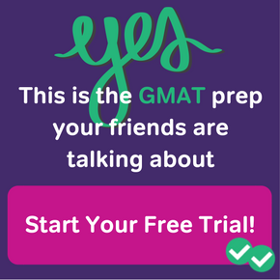 Welcome, thanks for joining me for another GMAT Tuesdays. 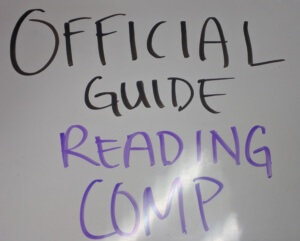 We are diving into the official guide to the GMAT and working through reading comprehension questions and we’re on question number three. In a previous video we went through the passage and attacked the passage. As a refresher of what the passage is all about I wrote down the main idea structure and tone here. So the main idea is the passage about 2 ideas or 2 theories of schooling. The structure, first paragraph is the introduction. Second paragraph is about the theory A or Idea A. Paragraph number 3 is about the critics of theory A and then introduces theory B which talks about the confusion effect. And the fourth paragraph is all about theory B. And then the tone, it’s balanced-ish. And then basically the author is sort of unbiased here, generally just presenting the two theories, not arguing for one or the other. Okay so like I said we’re in question number 3 which is a detail question. And you might ask Kevin, how do you know it’s a detail question? That is an excellent question. So in the passage, we’re in this book. There’s newer ones but you’ll find this question in the new ones as well. According to the explanation, so any time I see that phrase according to the passage according to the explanation, I know I’m dealing with a detail question. I’ll continue reading. According to one explanation of the confusion effect, a fish that swims in a school will have a greater advantage for survival if it does something. So now that I know I’m dealing with a detail question, I know what my process should be, or my approach to this question. So, we’ve already attacked the passage. We can rephrase the question. They’re asking about the confusion effect and they want to know what sort of advantage the confusion effect gives a school of fish or what theory B says the advantage is. I would do some research in the passage so I know from the structure that I wrote down that I’ll probably be focused on the fourth paragraph. That’s where there’s two sort of benefits that are described of the confusion effect. Then I would anticipate the answer, and then finally, eliminate any wrong answers. Remember, we want to work on eliminating wrong answers first instead of just trying to find the right answer. I find it easier to eliminate wrong answers cause there’s more of them. And it helps narrow in on what is right about the right answer. And it gets you thinking about how something is wrong. Sometimes there’s only gonna be one small thing in an answer choice that’s wrong, and you need to find that one small thing in order to eliminate it. And that helps you to really confirm the right answer. If you can’t find anything wrong it, then you know you found the right answer. So, there are common wrong answers in detail questions. One, is an inference where the answer choice synthesizes information from two different places in the passage. Another one is distortion where it takes information from the passages and twists it. And then finally anytime you see an answer choice that just adds new information even if it’s on the same topic, that’s gonna be wrong. There has to be something in the passage that says what the answer choice is saying. If you don’t find that, then it’s going to be wrong answer. Okay, let’s take a look at our answer choices. So answer choice A, says that, so remember we’re talking about theory B, and it’s talking about being visible at 200 meters. This is a perfect example of a distortion answer choice. Because this description is of theory A, not theory B. So they want to make sure that you are searching the right part of the passage and not just finding information that’s in the passage, you have to know what the question is asking. So, I know I’m looking for a theory B information, that was theory A. Answer choice B talks about the fish being in the front of the group or in the rear of the group. There’s nothing in the passage that talks about the placement of the fish in the schooling group, so I know this is new information and wrong. Answer choice C talks about whether it’s a small group or a large group. Again, the passage doesn’t go into the size of the schooling group. If you look at the fourth paragraph, there’s nothing about how big the school is in terms of it helping to protect them from predators so this is new information again and wrong. In answer choice D, it talks about how the fish are all similar. They’re all similar in appearance which is discussed in line 34. So this is definitely in the passage, so this is our right answer. Finally, answer choice E, they talk, really short answer, it just says medium-sized basically. Again, there’s no information about the size of the fish or the size of the group discussed in the passage so this is new information and we can consider it wrong. All right, that is it. If you have any questions, please feel free to leave comments down below. 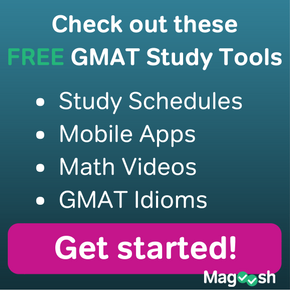 And if you need more help with the GMAT head over to magoosh.com and we’d be happy to help. All right, be excellent to the universe.